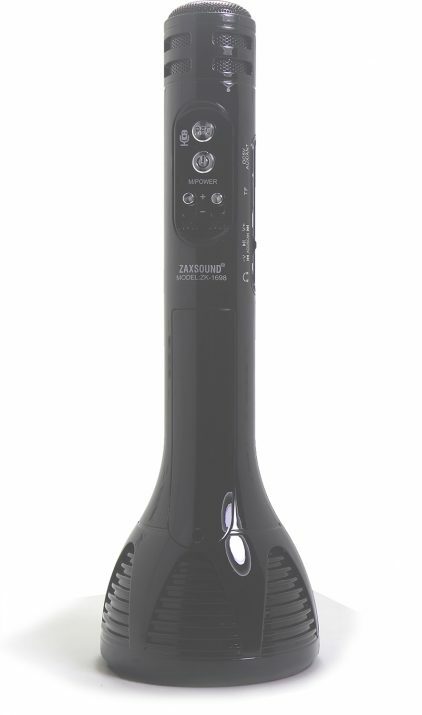 * Features a Chargeable built-in Loud Microphone with Echo, Volume, Record and Vocal Remover Functions. * Included an SD Card with Preloaded Most Popular songs, so that your kid can sing along with the song. * A Light weight, Portable, Handheld, a 3+ years old can easily hold it and sing without the need to keep it hooked anywhere. * Can be used as a Bluetooth Speaker, Stream Music from YouTube or any app on your phone, The Speaker also can Play your Music from the SD * * Card included or it can be connected directly to your phone or MP3 Player through the included 3.5mm/Micro USB Cable. * Lasts up to 3-4 hours on a single Charge. Not just a Microphone Voice Magnifier! It’s a Recorder, and a Vocal Remover! 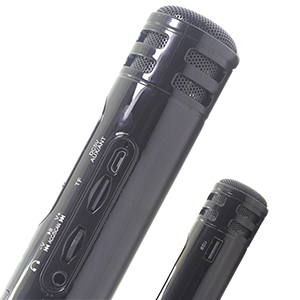 The Mic Karaoke Machine is one of the most fun gadget used for practicing singing. Not only it has the Echo Effect, But it can Record, Remove the Song Vocals and it has FM Radio! It’s a effective way to teach your kids how to sing and memorize songs and would be a fun and smart learning method by letting him/her actually sing along and record his voice. Use it also for Family Gathering & Outdoor Camping. The Portable Wireless Karaoke Microphone comes with a Built-in Bluetooth Speaker, Mini Size and Handheld, light weight, Perfect for both adults and 3+ years old. 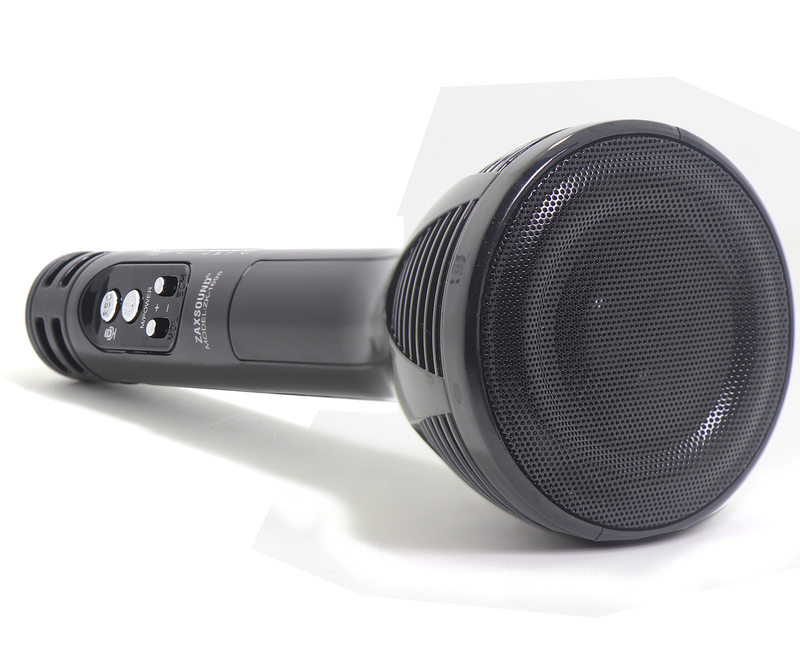 The Karaoke Machine can be connected with Apple iPhone/iPad & Android Smartphones and Tablets. 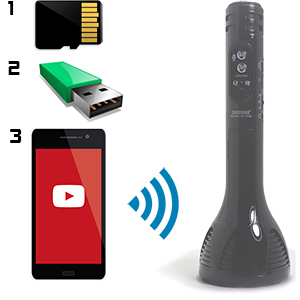 Compatible with YouTube and any Mobile Singing App, also can be used with a PC or Directly by inserting SD card. 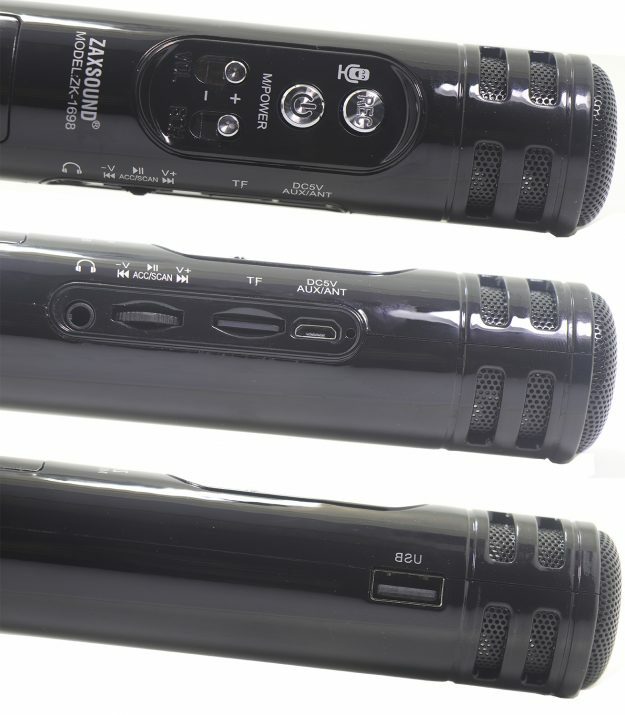 The Bluetooth Wireless Speaker at the bottom of the Karaoke Microphone has a decent sound, Play your favorite music on the Mini Bluetooth Handheld Speaker. 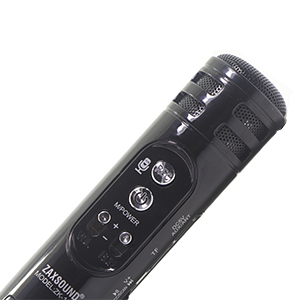 The Karaoke Singing Machine Microphone is designed to be light weight and Rechargeable. It’s comfortable for both adults and kids to Practice your favorite songs. SD CARD CAN BE FOUND INSIDE THE SLOT. SD Card has preloaded Songs to test how vocal remover works on varieties of songs. Inset the SD Card in the Slot (it’s there if you haven’t removed it). 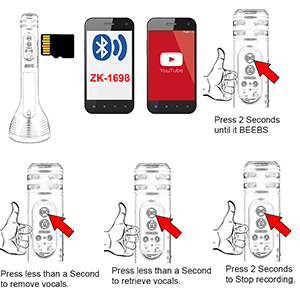 Connect to your phone/tablet to the Bluetooth of the device “ZK-1698”. On your Phone/Tablet, go to YouTube or any other video/music App and Play a song. At this point, the device should play them. Long Press REC Button, you will hear a short Beeb, this means the device is currently recording to the SD card. Note: You can activate the vocal remover on or off by pressing REC button while the song is being played (a short press). To stop recording and save the song, Long Press REC again, the device will mute for a second. This means the song has been recorded and saved to the SD card. To play, navigate to Music Play mode. REC: to Record a song, or to remove the song vocals. PWR: On/Off or navigate through modes. Echo: Controls voice echo level. Volume: Controls the volume of your voice. SD card slot, and USB Input on the other side. Music tracks knob controller, and at the same time it’s FM Scanner.